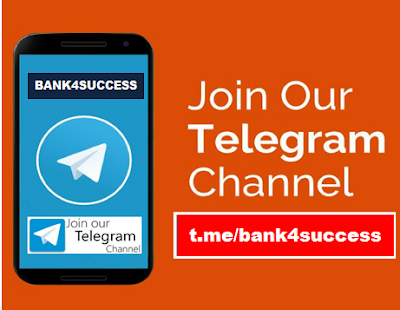 Welcome to bank4success Telegram Group and Channel. Lots of aspirants were suggesting us to start start Telegram Group and Channel as there are some limitation with Whats app Groups, which has been removed from Telegram. So finally we are on Telegram and you know what it can handle a user level of 200k+ and we are immensely happy to start one and to interact with our aspirants and to clarify the doubts and to give the resources they need. What you can expect in our Telegram Channel? Resources like Free E-Books, Mock Paper, General Awareness Weekly and Monthly Capsules, Computer Awareness Study Material, Banking Awareness Material and Study Material. 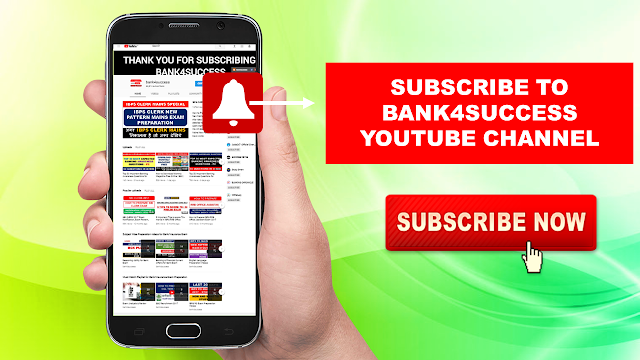 Doubt Clarification if you any doubt you can ask in telegram Group or You can comment in any bank4success YouTube video. We will clear doubt within an hour.